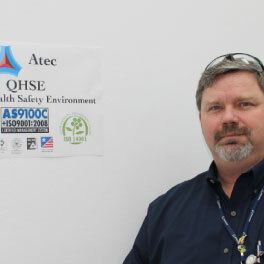 Atec is committed to Quality, Health, Safety, & Environment. We believe that everyone has the responsibility to do business as consciously as possible to reduce their negative impact on the world. Reduction of risk is important to our employees, stakeholders, customers and community. We put careful consideration into all of our operating practices, not only to maximize the efficiency of our company in terms of profit, but also in terms of sustainability and safety. At Atec, the leaders of each of those reports to our President. Broadening our QHSE regimen, Atec’s Board has a chartered Audit & Risk Committee, with a working Compliance & Ethics Subcommittee. In today’s business world, Community has become an active stakeholder. As a government subcontractor, Atec endeavors to make positive demonstrations of compliance with federal requirements. Our organization also deals with Security, Cyber Security, Sustainability, Corporate Planning, Disaster Recovery, Small/Disadvantaged Business Utilization, Communications/CR, Export Control, Technology Control, and other such initiatives. We strive to be a responsible corporate citizen and competent, modern supplier partner to our large prime customers. We are ISO and AS compliant and certified with no exclusions. From design and manufacturing to testing and distribution, all of our activities, across the board, are fully encompassed within ISO/AS structure. It is a rarity for a company of our size to be AS9100 certified, but we know that by continually maintaining these rigorous certifications, we will have a positive effect on the overall quality of every single one of our methods, products or services. Atec wants to meet high customer expectations. 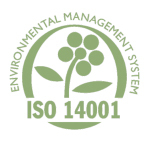 We strive to be an environmentally responsible business through compliance of ISO 14001:2014—at all locations.